If your still waiting to get your hands on Apple’s new iPad 2 then this stopmotion video of a iPad made entirely from plasticine might help ease the pain a little and put a smile on your face. I have always enjoyed creating things from plasticine, but this innovative creation is an example of some fantastic modelling skills. The video has been shot for a Post Digital Brief at the British Higher School of Art and Design (Moscow) and shows some great creativity. 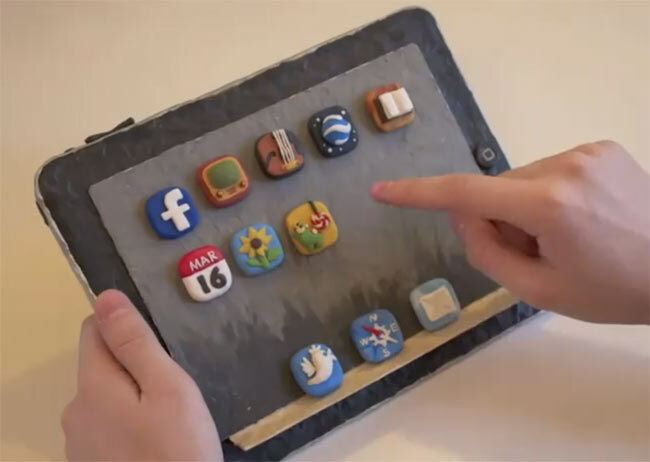 Watch the full video animation of this wonderful plasticine iPad after the jump. Enjoy! Music was created from samples at MusicShake.